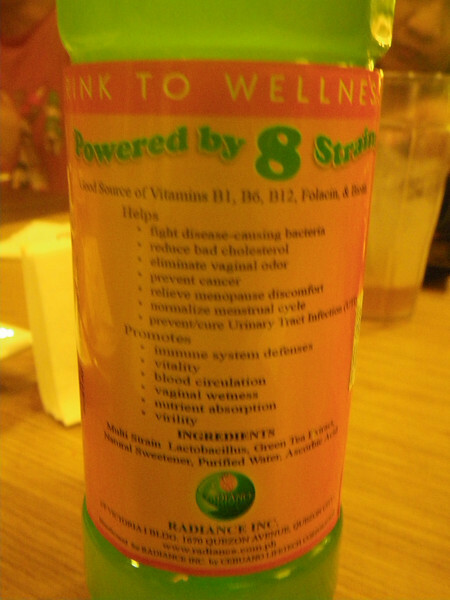 Gr8 Lacto is a probiotic drink high in Bifidus one can buy at Clinica Manila (Mega Mall) or Radiance (call 4251508). At first a digestive aid, it has also proven helpful with one's reproductive system. A study has just been conducted about its benefits to menopausal women and a new one (its benefits on women with PCOS) will likely be pursued next. It tastes like juice (some say like guyabano), nothing awful or distinct, which should make drinking it everyday fairly easy. Since the results of the study aren't out yet, i'd still recommend it for those prone to UTI.